socialisme veut l’égalité dans la gêne et dan la servitude. I have always believed that this anointed land was set apart in an uncommon way, that a divine plan placed this great continent here between the oceans to be found by people from every corner of the Earth who had a special love of faith and freedom. Our pioneers asked that He would work His will in our daily lives so America would be a land of morality, fairness, and freedom. 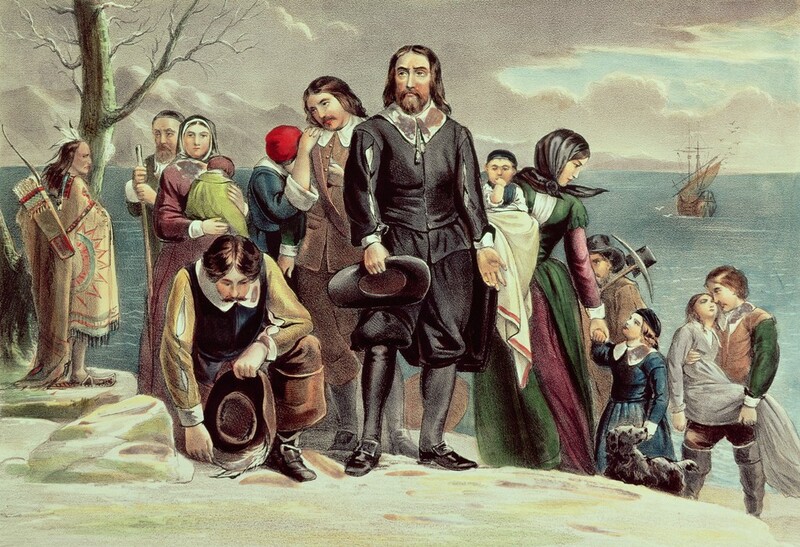 Today we have more to be thankful for than our pilgrim mothers and fathers who huddled on the edge of the New World that first Thanksgiving Day could ever dream. We should be grateful not only for our blessings, but for the courage and strength of our ancestors which enable us to enjoy the lives we do today. Let us reaffirm through prayers and actions our thankfulness for America’s bounty and heritage. NOW, THEREFORE, I, RONALD REAGAN, President of the United States of America, do hereby proclaim Thursday, November 25, 1982, as a National Day of Thanksgiving and I call upon all of our citizens to set aside that day for appropriate expressions of thanksgiving. IN WITNESS WHEREOF, I have hereunto set my hand this 27th day of Sept. in the year of our Lord nineteen hundred and eighty-two, and of the Independence of the United States of America the two hundred and seventh. Don’t forget to read the two Thanksgiving pieces that run in today’s (Wed. Nov. 21st) Wall Street Journal. You’ll find The Desolate Wilderness and And the Fair Land on the WSJ’s Opinion page where they have been published every year since 1961. Share these moving pieces with your family and friends and particularly the young ones. If you don’t get the WSJ it’s worth buying this issue or you can subscribe to the digital version here. Have a great holiday everyone. While I am not advocating SECESSION as a way to deal with the current fiscal crisis, I would not rule it out as an option if the federal government continues its slide towards insolvency. Another reason to consider secession would be if the governments of fiscally irresponsible states like California and Illinois ask the federal government to coerce fiscally responsible states like Kansas and Oklahoma to bail them out. This scenario is more than just a remote possibility. I won’t attempt to list all the possible justifications for secession. My point is that there are good and valid reasons for considering secession. An example of one group of Americans bailing out another group occurred when the housing bubble burst in 2007-8. As the housing market collapsed, responsible homeowners began supporting with their taxes the bailout of a system shattered by the irresponsible actions of others. How long will the good citizens of our country support a system that continually abuses them? Much of the criticism of this most recent Secessionist wave is coming from people who seem to be very loosely educated in American history. While I don’t always agree with Ron Paul, I have to admit that he was right when he made the point that the United States was created by a secessionist movement. It’s an historical fact that can’t be argued with. In 1776, 13 English colonies declared that they were “Free and Independent States; that they are Absolved from all Allegiance to the British Crown, and that all political connection between them and the State of Great Britain, is and ought to be totally dissolved.” The leaders of the colonies thought the British policies so oppressive that it warranted secession. Americans still celebrate this Declaration of Independence (or what might also be properly called a Declaration of Secession) every 4th of July. The accusation that people discussing secession are kooks or even worse, traitors begs the question: Why are so many Americans ignorant of their own history? When the Virginia delegates gathered in Richmond in June of 1788 to consider ratification of the Constitution they wrote: “The powers granted under the Constitution, being derived from the People of the United States, may be resumed by them, whensoever the same shall be perverted to their injury or oppression.” By this declaration, the Virginia delegates were making it very clear that the governing powers conferred by them to the federal authority might be withdrawn if the federal authority began abusing those powers. In other words, the same Virginians who gave their consent to the Constitution were simultaneously asserting their right to secede from the Union just as the 13 colonies had dissolved their union with Great Britain 12 years prior. The men of the Virginia Ratifying Convention did not believe that the Constitution was a perfect legal framework for federal governing and so they proposed several amendments to it. One began thus: “That Government ought to be instituted for the common benefit, protection and security of the People; and that the doctrine of non-resistance against arbitrary power and oppression is absurd, slavish, and destructive of the good and happiness of mankind.” It seems obvious to me that many of the founding fathers from Virginia viewed complacency towards an abusive federal government as unpatriotic. Was Virginia’s ratification declaration just the ranting of a landed, slave-owning gentry who wanted to leave the door open for secession to protect the institution of slavery? I don’t think so. No serious Constitutional historian that I know of has attributed a strong pro-slavery interest to the representatives at New York’s ratifying convention, and yet they expressed sentiments similar to Virginia’s in their own declaration: “That all power is originally vested in, and consequently derived from, the people, and that government is instituted by them for their common interest, protection, and security.” “That the powers of government may be reassumed by the people whensoever it shall become necessary to their happiness.” I really don’t think Virginia and New York had anything specific in mind when they made these declarations. If one studies the things that motivated the founding fathers, one of the common themes revealed is a general mistrust of central authority. This little peek into our constitutional beginnings demonstrates that Ron Paul was absolutely right when he said “We came together voluntarily – a free society means you can dissolve it voluntarily.” Liberty does not exist when people lose the power to enforce their right to replace the government that oppresses them. N. B. The source of the declarations quoted above is the work popularly know as Elliot’s Debates on the Federal Constitution. It’s unfortunate that very few Americans seem to understand the principles behind the origin of our Constitutional Republic. What’s worse is that they may not even care. Because they do not know what the Constitution was intended to be, they do not recognize how far we have strayed from its original purpose and the danger that this implies. 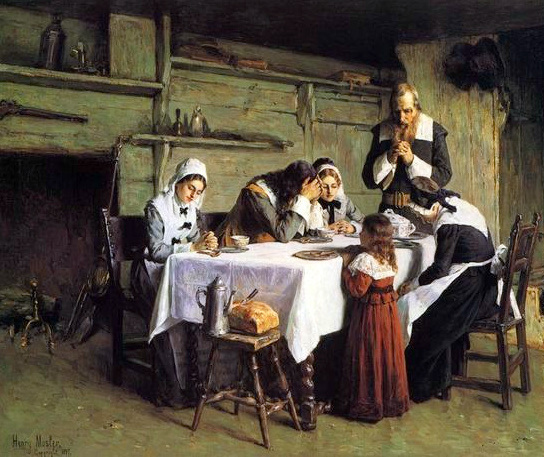 This holiday season, with the young ones in mind; consider the gift of early American history. I will try to find some good American history books to recommend for the kids. Please check back later.